This is the least green Prius on the planet, except for the color. It is a car that can burn plenty of fuel and smoke your tires. It is an 800 horsepower Prius powered by a Dodge SRT Hellcat HEMI V8, with a larger blower fitted. With all that power in a car that weighs about 1,400 lbs less than a Dodge Challenger SRT Hellcat, it is certainly fast. We aren’t fans of the boring Toyota Prius, but if they all had this type of power we would get in line to drive one. 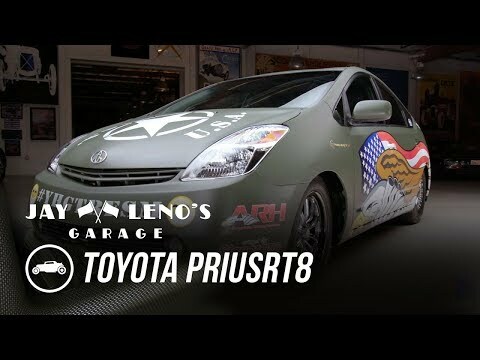 Check out the below video showing the powerful Prius gulping fuel and making great sounds. After you watch the video scroll down to the comments and let us know what you think of the build.